Pope Francis has compared having an abortion to hiring a hitman to kill somebody in order to solve the problem. He stressed this kind of solution is similar to what mafia does. Francis rejected the idea that having an abortion was a human right. “How can an act that suppresses innocent and defenseless life as it blossoms be therapeutic, civil or simply human?” he argued. 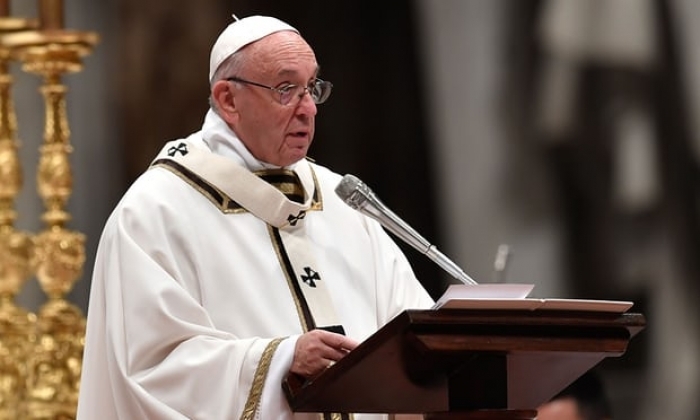 Previously Pope Francis compared abortion to a ‘white glove’ version of the Nazi eugenics program to preserve ‘racial purity’. The Catholic Church has been historically opposed to both contraception and abortion, saying they go against a Biblical instruction to humanity to procreate and, in the case of abortion, the commandment not to kill. While Pope Francis has been ambivalent about contraception, his stance on abortion remains adamant. In August, he intervened in his home country of Argentina to advocate against a bill, which would legalize abortion in first 14 weeks of pregnancy. Argentinian senators voted 38 against to 31 in favor after a lengthy debate and in contradiction to the public support of the bill. At the same time he took a non-judgmental stance towards women, who terminated their pregnancies due to difficult living situations, as long as they sincerely wanted to absolve the sin. Some argued that this approach contributed to the defeat of the Catholic Church in Ireland in July, where two thirds of people voted for legalizing abortion in a referendum.